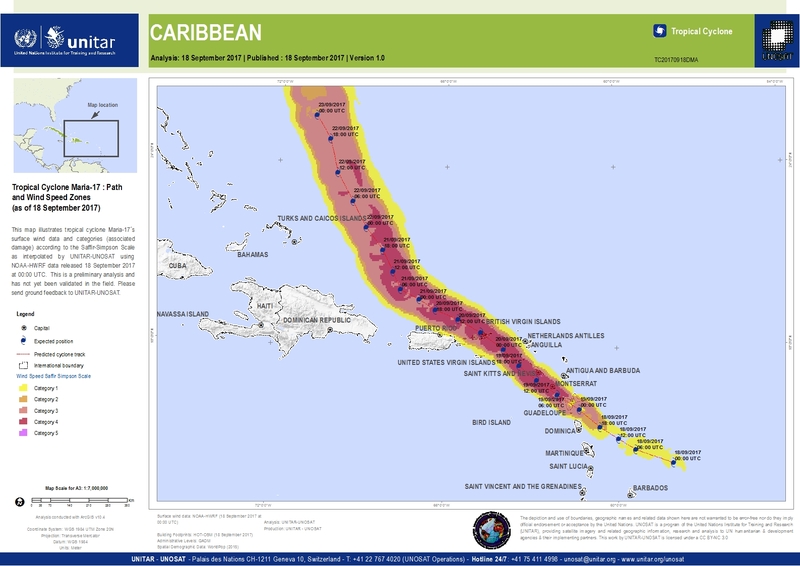 This map illustrates tropical cyclone Maria-17´s surface wind data and categories (associated damage) according to the Saffir-Simpson Scale as interpolated by UNITAR-UNOSAT using NOAA-HWRF data released 18 September 2017 at 00:00 UTC. This is a preliminary analysis and has not yet been validated in the field. Please send ground feedback to UNITAR-UNOSAT.